As a former SOC Director, I was always looking for ways to increase the skill levels of my team or get them the education needed for certification while on a strict (i.e., practically no) training budget. Little did I know how easy it could have been if I had met Ralph Sita just a few months ago when I was scrambling to find something. I met Ralph recently while he was manning his Cybrary booth at a local conference. When he told me he had a quality free cyber training offering, I was a bit skeptical at first. So I signed up and tried it and was duly impressed. I also found their variety of education and training help, free webinars, and certification courses to be quite extensive and in depth which I liked. So I asked Ralph for an interview to alert other SOC managers about what a great find Cybrary is and was happy when he quickly accepted. Then I find out he also has an expansive “for pay” set of offerings which gets even better. Geared to professionals and novices alike, you can find just about anything you need to learn about concerning cybersecurity through Cybrary. 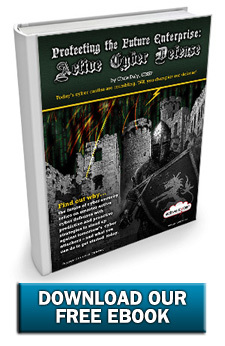 So check out the interview below with Active Cyber® to learn more about Cybrary and Ralph Sita or just click on the banner ad beside this interview to be transported to their site to learn even more. Chris Daly, ActiveCyber.net LLC: What are Cybrary’s key offerings and how do you deliver these offerings to the market? Cybrary LIVE – a premium daily live online offering for members – to learn and prepare for certifications from the industry’s top instructors and companies; continuous learning through 200+ Virtual Lab Environments that align to individual career goals, preparation for industry certifications with top of the line practice test software, and our world-class premium support. Cybrary for Business – gives companies and government agencies the ability to build a stronger security team in a controlled environment. With Cybrary for Business, teams have access to everything in the Cybrary Insider Pro Package with the addition of our onboarding and Employee Development Management Tool for Cyber Security/IT Professionals employed within a company. Teams also receive advanced reporting on learning data and candidate technical assessments. We also give employees the ability to advance in their career. Have a Network Engineer on your team that wants to become a Security Engineer? Let the Cybrary for Business Platform give you the ability to facilitate the growth of your security team. With the use of our team enterprise platform, we help managers strive to create an environment that fosters career development to increase employee retention, employee confidence, and overall team growth by helping to develop their skills. Active Cyber™: To what types of user profiles do your offerings appeal? Who do you reach today? Sita: We have taken the due diligence to appeal to a wide variety of different user types in terms of skill level and learning style. We have self paced programs where people with busy schedules can fit in learning when they can. We also have structured programs for those who learn best with discipline and structure. Whether you are a CISO, SOC Analyst, or complete beginner, our catalog and programs have the courses, labs, and tools you’ll need to excel. As a global platform, Cybrary gets enthusiastic students from all over the World. Bootcamps are antiquated and training is usually expensive. However, as a free platform, no matter where you live, as long as you have access to the internet, you have access to learn. With a click of a button someone from as far as Tunisia can get started on their first CompTia course. Active Cyber™: How do you leverage partnerships and alliances with vendors, educators, certification boards, and other members of your ecosystem to create and deliver your offerings? Sita: We are partnered with multiple top industry names for vendors including Kaplan, CYBRScore, Practice Labs and many others. Our content team is responsible for procuring new content on a daily basis whether it be vendors or educators. Our ecosystem is an amalgamation of instructors, students, vendors, fortune 1000 companies, and more to create an all encapsulating resource for cybersecurity and IT. Active Cyber™: How does your free training offering differ from the “insider pro” and other paid offerings? What types of offerings do you provide to companies and government agencies for their cyber workforce? Sita: Using the free version of Cybrary, users have access to all of our video-based training, articles and posts by thousands of industry professionals, and the ability to interact in our member forums. Cybrary Insider Pro’s users have extended access including everything in the free version of Cybrary and additional benefits. These benefits include unique career pathways to become an industry professional, like a SOC Analyst or Cyber Security Engineer; a guided mentor throughout the career journey; Cybrary LIVE – a premium daily live online offering for members – to learn and prepare for certifications from the industry’s top instructors and companies; continuous learning through 200+ Virtual Lab Environments that align to individual career goals, preparation for industry certifications with top of the line practice test software, and our world-class premium support. Cybrary for Business gives companies and government agencies the ability to build a stronger security team in a controlled environment. With Cybrary for Business, teams have access to everything in the Cybrary Insider Pro Package with the addition of our onboarding and Employee Development Management Tool for Cyber Security/IT Professionals employed within a company. Teams also receive advanced reporting on learning data and candidate technical assessments. We also give employees the ability to advance in their career. Have a Network Engineer on your team that wants to become a Security Engineer? Let the Cybrary for Business Platform give you the ability to facilitate the growth of your security team. With the use of our team enterprise platform, we help managers strive to create an environment that fosters career development to increase employee retention, employee confidence, and overall team growth by helping to develop their skills. Active Cyber™: What types of hands-on or experiential training is offered and how are collaborative team settings and scenarios delivered? Sita: Cybrary partners with leading vendors in the certification training industry, as well as other experienced companies, to serve learners with the latest online virtual labs, capture the flag scenarios, and practice exams. Online learning is no longer one-dimensional, and our experiential training courses and applications provide an easily accessible medium to attain a full and well-rounded understanding of the topics. Active Cyber™: How do you keep your training “fresh” so that you keep your users coming back for more? Sita: What we have done, and continue to do, is fill a need for people around the world. Our team is dedicated to providing the best information to promote personal and professional growth. The nature of our crowdsourced platform allows us to have the best content from anywhere in the world. We strive to promote new, qualified subject matter experts (SMEs) to teach everything from fundamentals to the most advanced concepts. Every new instructor is given a quality rubric to follow, and each course is reviewed against it to ensure the best overall experience for students. Active Cyber™: NIST published the National Initiative for Cybersecurity Education (NICE) Cybersecurity Workforce Framework in 2017 to help establish a taxonomy and common lexicon that describes cybersecurity work and to identify work role capability indicators, i.e., knowledge, skills, and ability indicators for performing cybersecurity work roles. How does the NICE Framework apply to your offerings? Sita: As an industry member of the National Initiative for Cybersecurity Excellence (NICE) via the NICE certification and training work group, Cybrary training and workforce development programs enterprise clients that align with the 33 specialty areas* and 55 work roles* outlined and defined by the NICE framework. Furthermore, Cybrary provides virtual labs and challenges to assess and quantify the specific knowledge, skills, and abilities* outlined within the framework. As a result, Cybrary enables enterprise users to track capability of their cyber workforce within their organization. Active Cyber™: The press is filled with stories about the severe shortage in qualified cybersecurity personnel. What is your view on the marketplace for the demand in cybersecurity skills? How active is your user base and how have you expanded your offerings to meet the growth in the pipeline of need? Sita: According to a report done by Cybersecurity Ventures, there will be over 3.5 million unfilled cybersecurity jobs by 2021. That’s a crazy number. Our strategy is to fill those jobs with talented individuals from across the globe. Since our inception, we have continually added resources for different subject matters and user types. We have courses, live training, labs, practice tests, articles, communities, capture the flag assessments, and much more. With over 12,000 new users a week we have to be continually pushing content on a daily basis. Our users are hungry! Active Cyber™: What are the top demand career paths that you are finding from your career training and education offerings? How do your offerings help users to manage the full life cycle of needs over a career? Sita: Right now, our top demand career paths are the SOC Analyst, Penetration Tester, Network Engineer, and Cyber Security Engineer. However, we have also established curriculums based on the 55 work roles established by the NICE framework. Many other learning platforms are centered around teaching the theories and concepts, but they lack the resources required to teach people how to perform the actual job function. Here at Cybrary we provide curriculums that cover the KSA’s (knowledge, skills, and abilities) necessary to perform the job functions defined by the industry. Active Cyber™: Success in training and education is often measured by job placement and professional growth. How do you address the transition from education and training to jobs, especially for those users who don’t start their careers in the cyber workforce? Sita: Here at Cybrary our primary goal is to democratize cybersecurity learning so that we can fill in the current employment gap in the industry.We’re not going to be able to fill those 3.5 million jobs by appealing to the select few in the industry today. As a result, our platform is dedicated towards teaching people of all skill levels and of all backgrounds. No matter where you come from or what your goals are, Cybrary has a clear plan for you to get you where you want to go. For example, one of our users just made the transition from being a mechanic to a SOC role at Accenture. For us, that’s just the tip of the iceberg. Active Cyber™: How do you see education and training delivery to evolve for the future? Do you see a role for VR/AR technology in the future for the cyber workforce? Sita: With new improvements in technology, the possibilities for education are endless. With a click of a button, people are able to connect and learn from users around the globe. As more learning modalities come into play, there are more opportunities to integrate it with in our platform. We want to be the most accessible platform for training, not only from a cost perspective, but also from a user perspective. By this we mean that we want to have tons of different ways for people to learn. Whether it’s through LMS’s, VR, or AR, we are always excited to work on new channels of learning. Thank you Ralph for sharing information about your training offerings and insights into increasing the skills for our cyber workforce. The cyber professionals are really on the front lines of defending our country, protecting our critical infrastructure, and assuring the privacy of our own lives and they need the best skills and education to be effective. I believe, like you do, that improving our cyber IQ is a must for everyone and having a quality free offering like what is provided by Cybrary is a great way to get started raising our IQ. I am looking forward to taking as many courses as I can and I recommend that my readers investigate Cybrary and do the same. Ralph is the Co-Founder/CEO and Chairman of Cybrary. 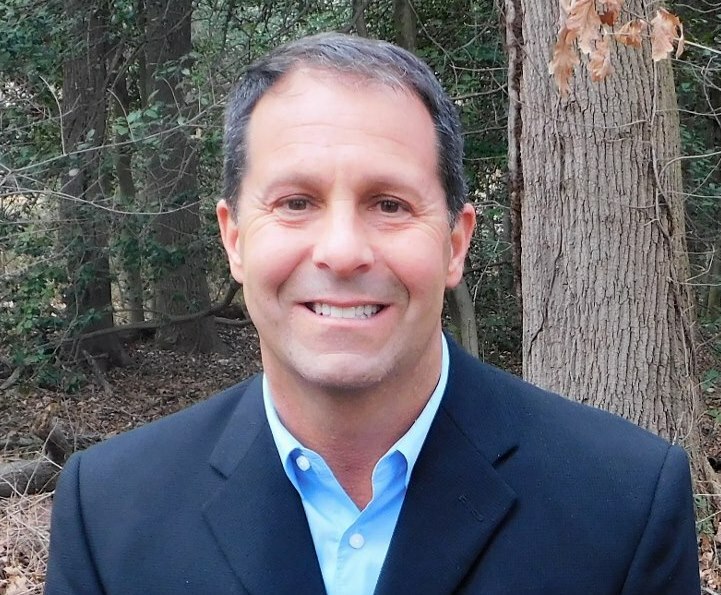 Prior to starting Cybrary, he founded his CPA firm that operated for over 22 years. At the firm, he was the managing partner, responsible for all aspects of running a diverse public accounting practice. There he discovered a passion for learning as he sold, installed and trained clients on various enterprise accounting systems. Soon he realized there was a definite need to provide more than just accounting software training and he founded his IT and Cyber training company – TrainACE in 2001. With over two decades accounting systems, and Cyber & IT training under his belt, Ralph is uniquely qualified to lead the implementation and execution of Cybrary’s long-term strategy with a view to creating shareholder value. Ralph holds a degree in accounting from University of Maryland, and is a proud alumnus, making sure to go to games every chance he gets. Ralph is a Certified Public Accountant; he believes that any person, anywhere, at any time should be able to access learning and career enrichment for free.